Please note: the deadline appears to have been extended, at least for online applications. You can still submit 2015 and 2016 applications at this time. (2015 applications, according to the site, are being accepted thru Dec. 31, 2017, and 2016 applications are being accepted thru Dec. 31, 2018) Of course, I still recommend you just go ahead and do it today, instead of waiting! Maybe you've heard about this already, and maybe this is new information for you. There is a reverse-tax benefit in Israel for low-income families. It's called the "Maanak Avodah" or "Working Grant". Please don't miss out on this if you qualify - apply as soon as possible in order to avoid disappointment later. It won't take much of your time to apply, and you can do it now, BEFORE YOU FORGET! The deadline to apply is November 30, 2017. 5. 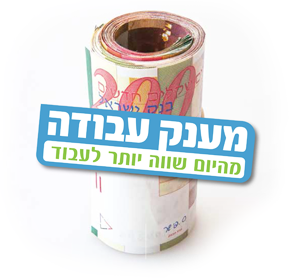 If you have 3 or more children, and your average monthly income falls between 2,070 NIS and 6,766 NIS, you may be eligible for this grant. If you are a single parent of 3 or more children (with custody), you may qualify if your income is between 1,260 and 11,400 NIS per month. Online, if you have applied at least once in the last TWO years. If you have not applied in the last 2 years, all you have to do is go to the post office and answer a few questions. BE SURE to bring your teudat zehut (ID card) and either your checkbook or an "ishur" from your bank that you have an account with them. Please keep any paperwork you receive at the post office and/or in the mail. If you have questions after you've applied, or to check the status of your application, you can call *4954 or 1-222-4954 or 02-565-6400 to speak with the Tax Authority. Your spouse's income may affect your eligibility, as may various other factors. AND, GET THIS: right now the system says you can apply for either 2015 or 2016 grants online. So for those of you who missed the 2015 deadline, you may still be able to apply! If you have never applied for this grant before, you can call Mas Hachnasa and request an extension - call *4954 and ask to apply for the ma'anak avodah late -- "liftoach pniyah l'maanak avodah b'ichur". You may be able to get them to let you apply late. Please share this information with your friends and family who may benefit from it! Is this for families on a student visa as well? You have to have had EARNED income from working. If you are on a student visa, you may not be allowed to work. In any case, that is really a question best asked directly to mas hachnassa. "If you're not eligible, that's not a bad thing, really. I know some of you complained to me last year that you were not eligible, but that means you are earning more money than the people this program is supposed to help" This is not true. I made 4,000 nis a month (took home 3,600) in 2016 and I do not qualify. Why? Because I am a divorced 51 year old and my children are not minors. And yet a married 55 year old with a working spouse.... as well as a married younger person with a working spouse... are eligible! There is a place where hard-working, low income people fall through the gaps... divorced men and women between the ages of 40-55 whose children are not minors.